Mahwah, NJ and Fountain Valley, CA March 25, 2017 – Digital Cinema Implementation Partners (DCIP) and Moving Image Technologies (MIT) announced today that National Amusements Inc. of Norwood, Massachusetts will begin a roll out of DCIP’s enterprise software solution Cinergy™ across its U.S. market. MIT is DCIP’s distributor of Cinergy in The Americas and provides Cinergy customers with front-line support for the product. Implementation of Cinergy is already underway NAI’s US territories. Encompassing nearly 400 screens, Cinergy will provide National Amusements with digital equipment health monitoring, proactive alerting, theater asset management, trailer scheduling, automated key delivery, and content and equipment log management, all controlled through a centralized “Command Center” that is also capable of generating user-defined alerts and advanced reporting to key management personnel within National Amusements. “This was a very important initiative for us. We looked at the various solutions in the marketplace and they all had their merits. Not only did Cinergy meet all our requirements, their flexibility to grow and evolve as our needs change, was impressive, and made them the obvious choice.” said Jon Kidder, Director of Cinema Technology, National Amusements Inc.
You can see Cinergy demonstrated at CinemaCon 2017 in Las Vegas, Caesars Palace Booth 2419. Digital Cinema Implementation Partners (DCIP) is a joint venture owned equally by exhibition industry leaders AMC Entertainment Inc., Cinemark Holdings, Inc. and Regal Entertainment Group. Formed in February 2007 to facilitate the roll-out of a digital cinema infrastructure, DCIP has since overseen the digital conversion of more than 18,000 screens in the United States, Canada and Latin America. DCIP has also developed Cinergy™, an enterprise exhibitor software solution aimed at streamlining theater operations and interactions with distributors, and has partnered with Moving Image Technologies to market and distribute Cinergy. DCIP is headquartered in Mahwah, New Jersey with offices in Minneapolis and Denver. National Amusements Inc. is a world leader in the motion picture exhibition industry operating more than 925 movie screens in the U.S., U.K. and Latin America. National Amusements delivers a superior entertainment experience in theatres around the world under its Showcase, Cinema de Lux, Multiplex, SuperLux and UCI brands. 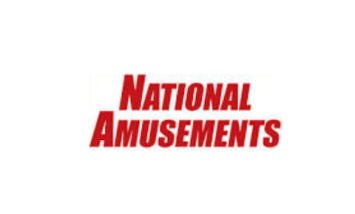 Based in Norwood, Massachusetts, National Amusements is a closely held company operating under the third generation of leadership by the Redstone family. National Amusements is also an equal partner in the online ticketing service MovieTickets.com and is the parent company of both Viacom and CBS Corporation.